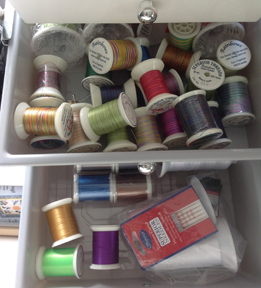 In my travels I am always keeping an eye out for new ways to keep my bobbins and thread spools together. 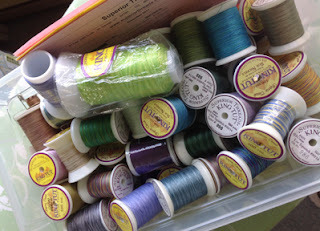 I use a LOT of different threads! 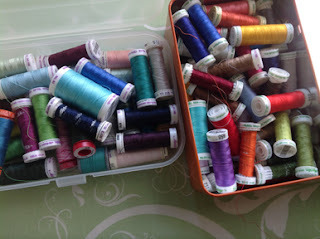 I store my threads by type - works for me. Recently I found 2 new ways to keep matching thread spools and bobbins together. 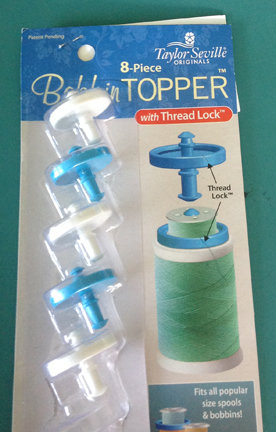 First is Bobbin Topper by Taylor Seville. 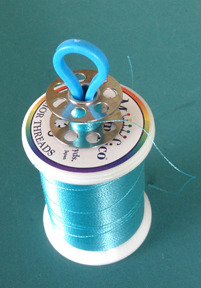 A feature that I really like is a 'Thread Lock'. 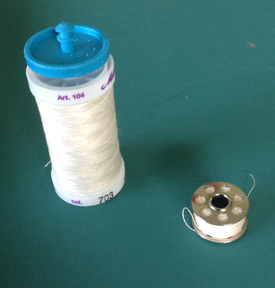 The tail of thread on the bobbin fits into a small slot on the edge of the bobbin topper. 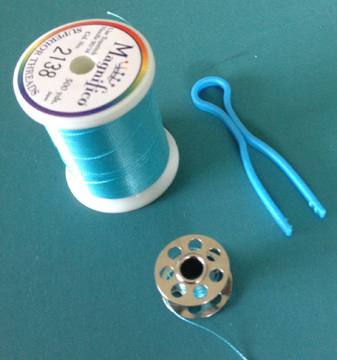 The other bobbin keeper I found is a funny-looking gizmo that reminds me of a bobby pin. It works well too. 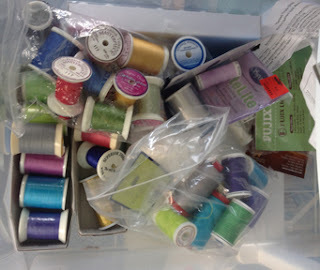 They would be costly for a lot of them though - $1 each. 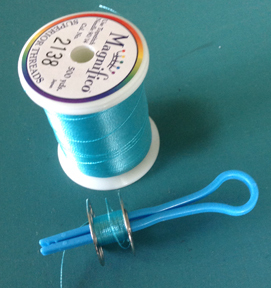 But my all time favourite way is my own 'invention'.....a safety pin. 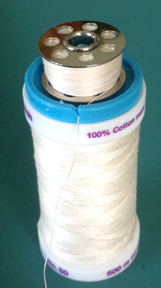 Now....I wish I could find something that would keep bobbins and CONES together - anyone seen something like this? LOVE the safety pin idea - Why did I not think of that! Thanks Beverly & Katie. 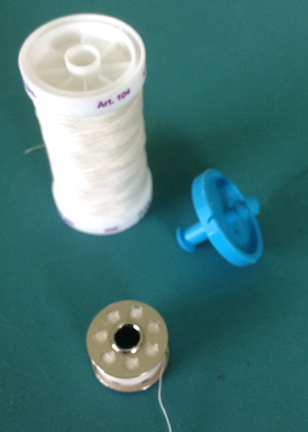 Have either of you seen any 'gizmo' to keep bobbins with cones?